There's no escaping the impact that digital technology is having on businesses of all sizes, says MTN's Llewellyn Ramsagar. 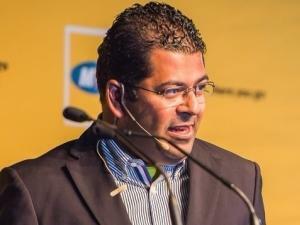 Llewellyn Ramsagar, General Manager: Enterprise Marketing, MTN Business. Digital enablement is all about successfully using digital tools and solutions in your business to achieve specific goals/outcomes. Speaking at the recent Gartner Symposium/ITxpo in Cape Town, Llewellyn Ramsagar, GM for Enterprise Marketing at MTN Business, explained that the digital enablement trend really does allow smaller organisations to stand toe-to-toe with their larger counterparts. This is because corporates are often tied down by existing, outdated processes and aren't able to innovate as their smaller equivalents. Ramsagar noted the lines between the digital and physical worlds become increasingly blurred; more established businesses are being challenged to rethink how they do business, which often leads them to view entrepreneurs and start-ups as a threat. He believes many corporates want to be like start-ups because they have the freedom and flexibility to use new digital tools to change the world. Admitting that larger businesses are often tied down by legacy and a lack of agility, he noted modern businesses are also being dared to overcome various external challenges, from water scarcity and rising commodity costs to the technical recession. According to Ramsagar, new businesses with new ideas must be given the support they need to champion digital enablement. This ultimately becomes a win-win for incumbents because these new players could eventually become receptive customers for our services. Through these support partnerships, everyone can work together to overcome broader societal challenges, he explained. For Ramsagar, digital enablement demands that businesses are always in a phase of reinvention, using all of the sophisticated technologies that are becoming more and more readily available to create better offerings and improve the services we deliver to our customers. He asked the attendees at his presentation to cast their minds back to the 1990s, when connectivity was limited. Perhaps you could connect to the Internet at home, in the office or in a coffee shop if you were lucky, but when you weren't at these few hubs, your connectivity would be rather limited. "Today, we're connected in a very different way, which has totally changed how we do business and how our customers consume data," he said, adding the average person is 'always on' because they are constantly being connected in some way or another. But, in saying this, he admitted that for a long time, businesses have understood the potential of digital but haven't been able to successfully monetise it. All of the connectivity, and the various tools and solutions enabled by it, Ramsagar outlined above, present businesses with countless opportunities to become more digitally enabled. "Entrepreneurs are in one business and that's the business of turning ideas into realities. For too long, we've sat around boardroom tables talking about ideas, while the small and agile have gone out and done it," he said. "Cool ideas don't make money. It's the solutions to real problems that do," he concluded. "We need to keep experimenting, keep failing, keep growing and keep reinventing."